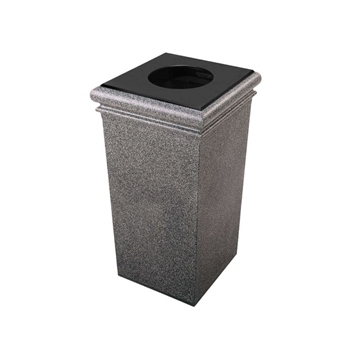 Commercial grade concrete trash cans from Picnic Furniture are built to last for decades in the most demanding public locations such as city streets, universities, state parks and more! 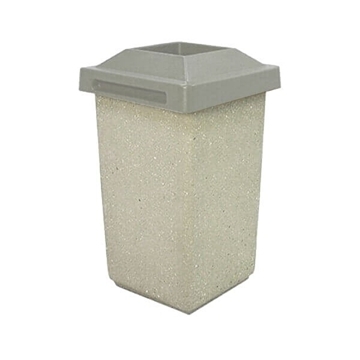 Each of our concrete trash receptacles are proudly made in the USA using solid steel-reinforced concrete providing for a strong commercial warranty. 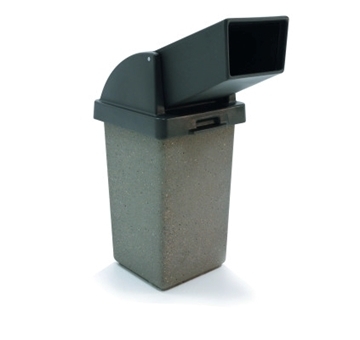 Featuring an array of different style tops including dome, flat, ash accessible, and drive-thru compatible. 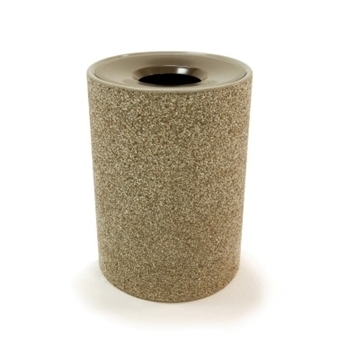 Combine your desired color with an aggregate texture to get that perfect look at your location! 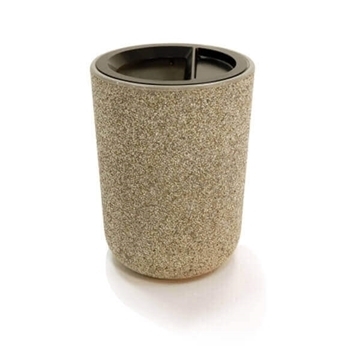 Custom logos and fonts can be applied as well to many receptacles as needed. For more information or to get a custom quote please give our friendly staff a call today and we will be happy to help. 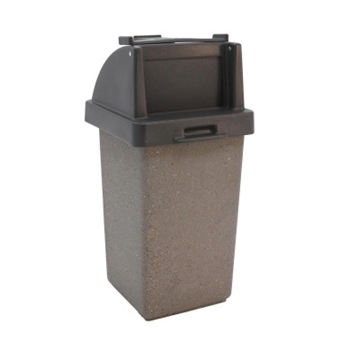 Commercial grade concrete trash receptacles are designed to withstand heavy public use and outdoor exposure. 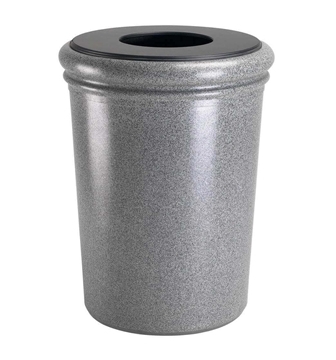 We offer concrete receptacles with plastic dome tops, four-way open tops, and even ash tops! 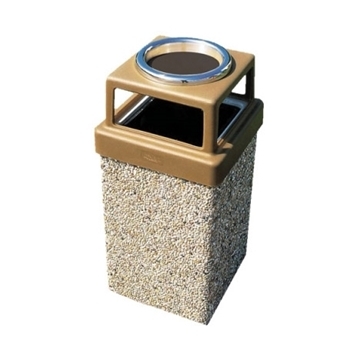 Keep your park beautiful and clean with a concrete trash receptacle from Picnic Furniture.